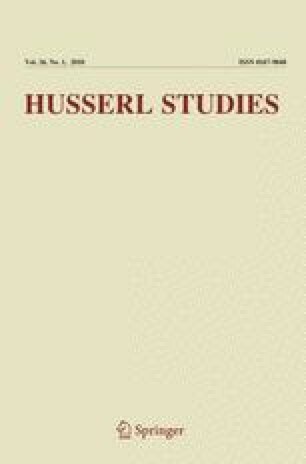 The following text is taken from the convolute shelved under the signature B I 21 in the Husserl Archives in Leuven, here pp. 88–94 and 79–82 (archival pagination; on the order of the pages see below). Of this convolute, containing 142 pages, thus far only p. 97 has been published in Hua. XXXV, pp. 430 f. According to Husserl’s dating, he penned the eleven-page manuscript published here, written in ink with corrections in ink, grey, blue and red pencils, on January 21 and 22, 1926. He entitled it (with blue pencil on p. 1 recto, B I 21/88a) “Sokrates–Buddha” and wrote N<ota>B<ene> with red pencil on the top of the page. Before going into the specifics of this manuscript, its larger context—the winter of 1925/26—needs to be explained.